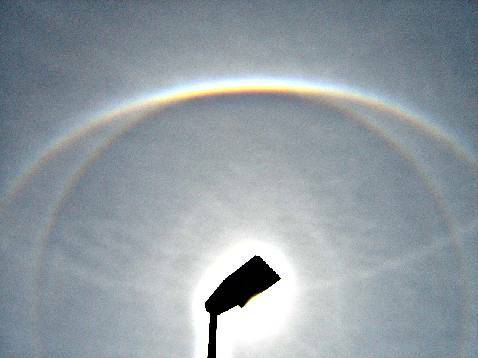 The odd radius halos to the right and in the images attached ( 1 – 2 ) were photographed by Marco Candotti on 25 July in Palmanova, Italy. The display started at 9:00 UT and was at its best between 9:30 and 10:15 UT. More photos can be seen on Lucio Furlanetto's website ( 3 ). 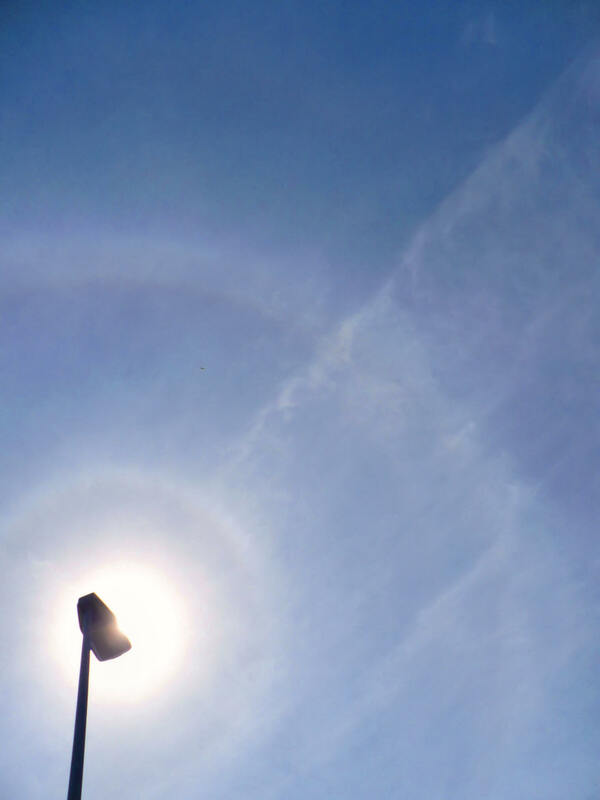 While the rare Finnish halos originate mostly from the jet stream, these halos come from the cirrus of the Vb-depression. This track of cyclones comes from the Mediterranean and moves towards the northeast to Central and Eastern Europe, where intensive summer precipitation and severe summer floods are associated with it. An animation ( 4 ) provides an explanation for the formation and the movement of this depression. 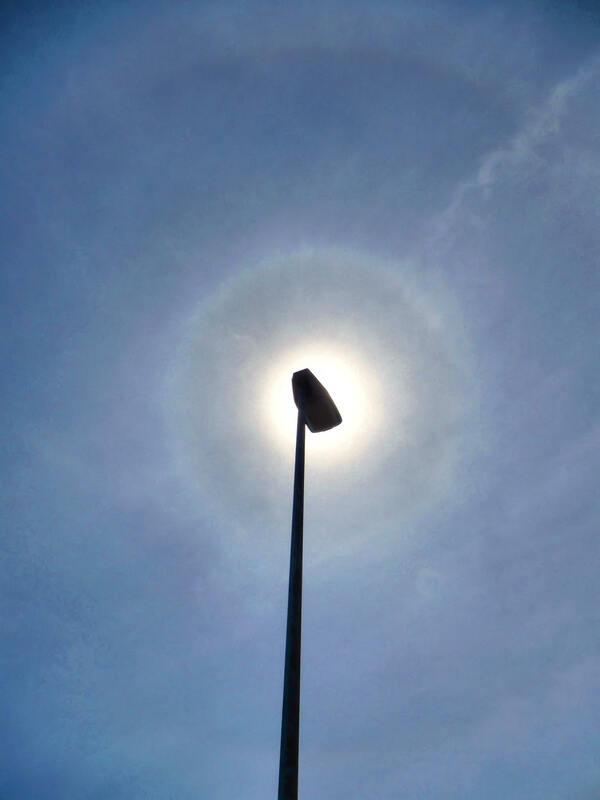 As indicated by German statistics, in Germany (and thus in the center of the continent as well) the rarest halos, and above all pyramidal crystal halos are formed in these weather conditions. While jet stream displays are also possible, they are very infrequent. During the past few days there have been two displays with full parhelic circle over Finland. 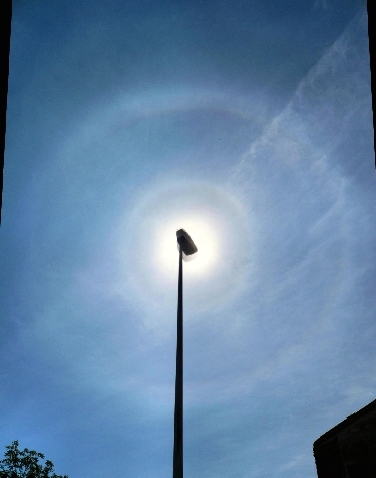 The first one occured in Kitee, East Finland shortly after 10:30 on 9 July. 11-year-old Jesper Rissanen took a video of this display ( 1 ). It included a full plate parhelic circle with 120° parhelia, and a circumscribed halo. On 14 July in Lahti, Jani Varpujärvi took photos of the second display. This one also appeared at around 10:30, and involved pyramidal crystals, which formed the 9°and 20° column arcs shown in the usm-ed image above. Further pictures of the display are available in the photographer's gallery site ( 2 ).